(2) Fault or failure of an ancillary component, for example a radiator, timing belt, water pump, fuel injection system, turbo, coolant, gasket, hoses, etc. 3) As a result of fire or theft. We cannot be held responsible if the item does not fit your vehicle. 2008 Honda Civic Si. Compatibilità: 2006-2011 Honda Civic. Vogliamo sentire da voi! risponderemo entro 24 ore.
Testata originale veicolo Produttore attrezzature usati. Heater Motor/Assembly. This part was removed from a Right Hand Drive Vehicle. Compatibility is a guide only. Your item will need to be signed for. In good working order - Denso make. Other Details. NUOVA RESISTENZA SOFFIANDO MARCHIO. EAN 3800992120727. Colour Black. Unit Quantity 1. Reference OE/OEM Number 1468105350. Reference OE/OEM Number 79330SR3A01. Reference OE/OEM Number 79330SH3003. Contatore gratuito di Auctiva. (P/N: 2727000101. 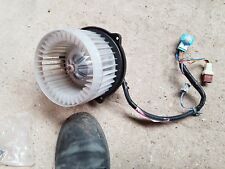 HONDA JAZZ MK3 2009 - 2015 1.2 1.3 1.4 PETROL HEATER BLOWER MOTOR FAN. 2) Fault or failure of an ancillary component, for example a radiator, timing belt, water pump, fuel injection system, turbo, coolant, gasket, hoses, etc. 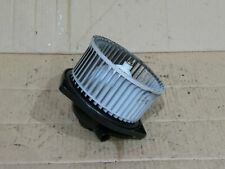 1992-2001 ACURA HONDA MOTORE DI RICIRCOLO FRESCO VENTILATORE RISCALDATORE OEM 79350-SR3-A01. Acura Integra 4AT GS (cuoio) 1997, 1998, 1999, 2000, 2001. Acura Integra 4AT LS 1994, 1995, 1996, 1997, 1998, 1999, 2000, 2001. Es handelt sich (soweit nicht Neuteil bzw. Austauschteil angegeben wurde) um gebrauchte Ersatzteile - also keine Neuware. Das heißt, das diese Gebrauchtteile z.B. lackierte Karosserieteile, Innenausstattung, kleine Dellen, Flecken oder sonstige kleinere Mängel aufweisen können. 2002 - 2006 Honda CR-V 2.2 CDTi Blower Motor Heater Resistor. We willALWAYS resolve your issue but would ask that you call us in order to do so. We are a bonefide 'End Of Life' Vehicle Dismantlers situated in East Devon. REMOVED FROM HONDA INSIGHT HYBRID ELECTRIC 1.3 PETROL,2011 YEARS,88 BHP,AUTOMATIC GEARBOX,ENGINE CODE LDA3,PAINT CODE NH731P BLACK. MY AIM IS TO MAKE SURE YOU ARE ALWAYS 100% HAPPY! (HONDA CR-V 2007 HEATER BLOWER MOTOR. 2) Fault or failure of an ancillary component, for example a radiator, timing belt, water pump, fuel injection system, turbo, coolant, gasket, hoses, etc. Head gasket & seals are not covered under the warranty. Honda Civic 502725-3240 (Sonstige) Bj. Das Teil istGebraucht. ob neu oder gebraucht, und das zu besten Preisen. As All parts are off a UK Right hand Drive Car., PA60-78, PH17-26, PH30-44, ZE, BT, IM, TR21-25. PART OF IRELAND OR CHANNEL ISLANDS AND EXCLUDES THE. P/N 2727000101. HEATER BLOWER MOTOR. 3 DOOR HATCHBACK 6 SPEED MANUAL. HYBRID ELECTRIC. HONDA CR-Z I-VTEC 1.5 LITRE PETROL 2011 MODEL. ENGINE CODE - LEA1. The Blue Containers. AJ SPARES is a large independent Vehicle Dismantlers. HEATER BLOWER. Honda Jazz 02-08. All of are parts have been security marked. HEATER BLOWER MOTOR. HONDA CR-V EX I-CDTI 2.2 LITRE DIESEL 2007 MODEL. 5 DOOR HATCHBACK 6 SPEED MANUAL. ENGINE CODE - N22A2. The Blue Containers. AJ SPARES is a large independent Vehicle Dismantlers. Heater Motor/Assembly. Your item will need to be signed for. Compatibility is a guide only. Part Number. Other Details. VTEC S AUTO. TRIM LEVEL. HONDA JAZZ (HONDA FIT) 1ST GENERATION (2001-2008), 1.4L 8V 83BHP. THE COMPATIBILITY GUIDE DOES NOT TAKE INTO ACCOUNT ANY VARIOUS SPECIFICATIONS. We try to note anything you would want to know about its condition outside of what you'd expect for its age. Manufacturer Part Number 80430-sr1-a12. Interchange Part Number e591002000. Other Part Number 80430sr1a12. 1940000891 / CLIMA DENSO. HONDA LOGO (GA3) 1.3 48 KW / 65 HP. HONDA Logo (GA3) 1.3 48 kW 65 CV ( 03.1999 -03.2002 ). Automotive riciclaggio. RICICLAGGIO AUTO. DHL / Tedesco. Servizio pacchi GLS. Contrassegno raccolta. 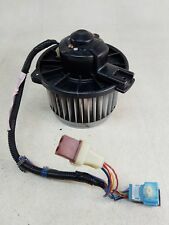 (HONDA JAZZ MK3 2008-2015 HEATER BLOWER MOTOR FAN. 2) Fault or failure of an ancillary component, for example a radiator, timing belt, water pump, fuel injection system, turbo, coolant, gasket, hoses, etc. 2010 HONDA INSIGHT 1.3 IMA ES-T HYBRID 5DR. HEATER BLOWER MOTOR. 2004 HONDA JAZZ 1.4i-DSI SE 5DR. HEATER BLOWER MOTOR. USED PART WORKING FINE. OUR REF: X2197. Interior trim black leather. Parts bought and sold. New and used car spares. Wing Mirror. Dedicated Support. You won't find cheaper prices anywhere! High quality products at amazing prices. We're here to help whenever you need us. – by Dean Staples (Founder). We always try our best to help. (REMOVED FROM YEAR: 2002). ENGINE CODE BODY TYPE PART NUMBER. Motore elettrico ventilatore interno per ACURA SLX HONDA PASSPORT ISUZU AXIOM. Acura SLX 1996-1999. ISUZU AMIGO 1994-2000. Assioma di Isuzu 2002-2004. ISUZU PICK-UP 1988-1995. RODEO DI ISUZU 1994-2004. HEATER BLOWER MOTOR. HONDA JAZZ 1339CC LITRE PETROL 2013 MODEL. 5 DOOR HATCHBACK 5 SPEED MANUAL. ENGINE CODE - L13Z1. South Yorkshire. The Blue Containers. AJ SPARES is a large independent Vehicle Dismantlers. HEATER BLOWER FORSALE. HEATER BLOWER. Version Trim. Collection from our East London Site. Engine Size. CALL 0208 523 6111. We do not cover labor costs in any case. IF YOU REQUIRE ANY INFORMATION.